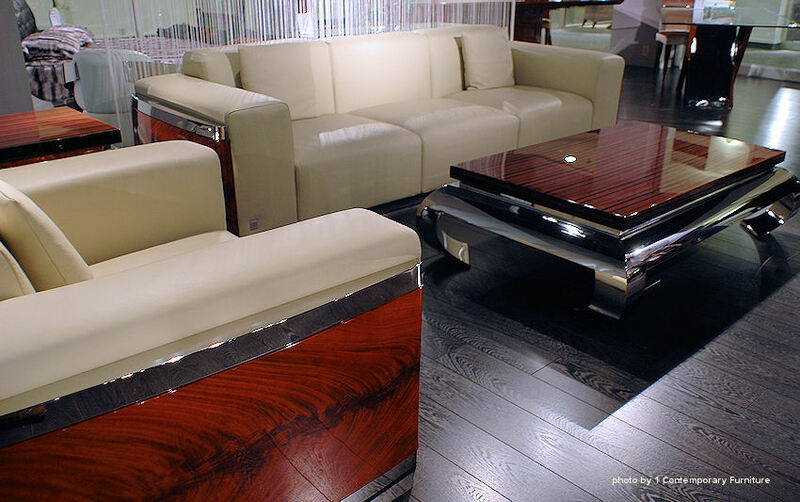 The Evolution designer tables featuring solid polished stainless steel base with ebony or mahogany wood top. Italian style made in China - the Evolution collection. Request info. 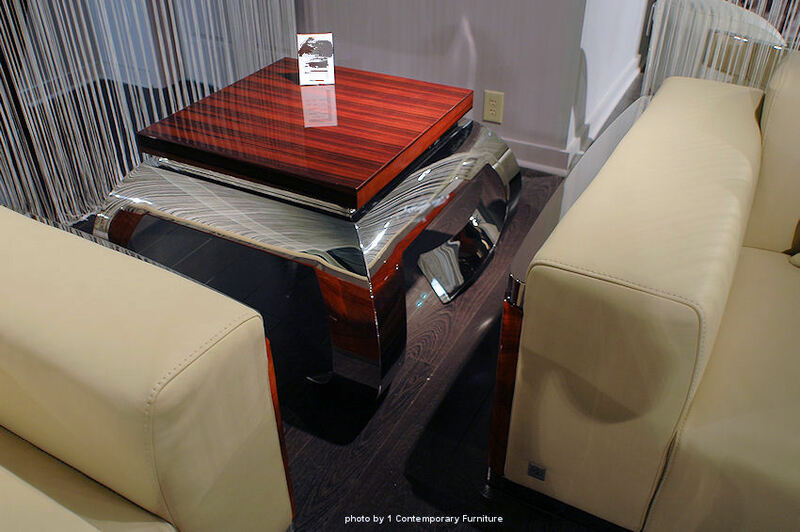 Luxury designer end table offering superior quality with solid polished stainless steel base and high gloss wood top. 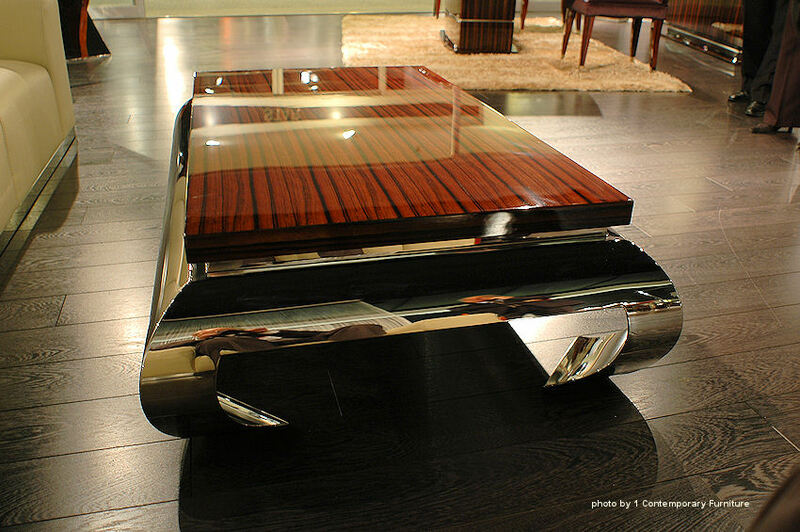 Extraordinary quality and original design from China.